The number of transistors on some chips exceeds one billion, and it is clear that improvements made for individual transistors can multiply into huge benefits for the entire device. 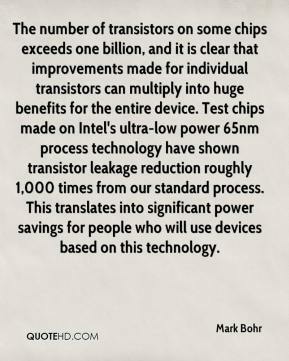 Test chips made on Intel's ultra-low power 65nm process technology have shown transistor leakage reduction roughly 1,000 times from our standard process. This translates into significant power savings for people who will use devices based on this technology. 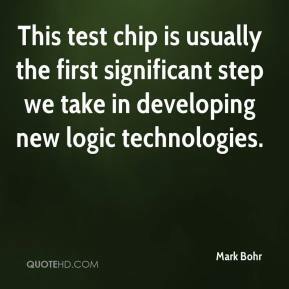 This test chip is usually the first significant step we take in developing new logic technologies. 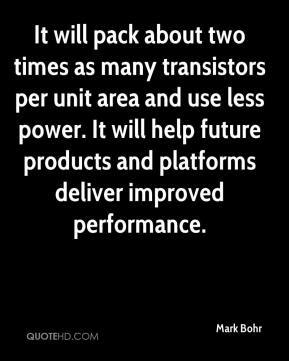 It will pack about two times as many transistors per unit area and use less power. It will help future products and platforms deliver improved performance. 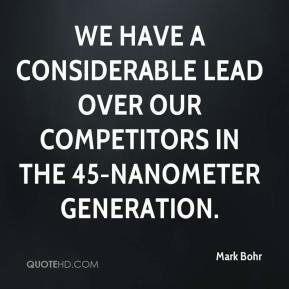 We have a considerable lead over our competitors in the 45-nanometer generation. 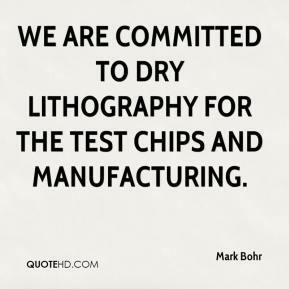 We are committed to dry lithography for the test chips and manufacturing.